Byron Audio are a local favourite for lighting, sound and DJs for weddings and events. Their passion and expertise shows in beautiful lighting, dance floor friendly DJs and prompt, reliable service. Byron Audio provide great lighting, sound and DJs for weddings and events. Great lighting adds atmosphere to your event. 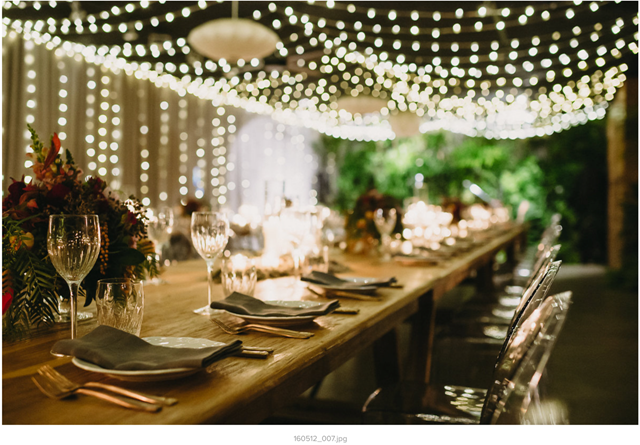 Popular lighting packages include Edison bulbs, festoons and fairy lights. 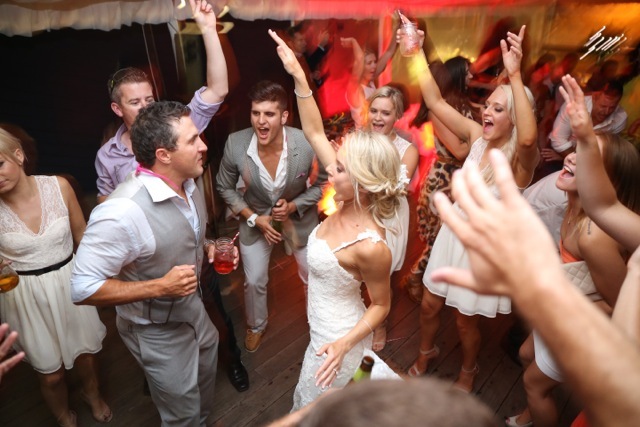 Byron Audio installs lighting for hundreds of weddings in and around Byron Bay each year. Check the Byron Audio instagram for the latest photos and styles. We have installed lighting often for Seven Mile Weddings and know what is required to make your event look spectacular and run smoothly at this venue. DJ packages start from $660 for 4 hours. Our DJs have years of experience playing at events, clubs and weddings. We will build a playlist around your song requests and favourite music. Before a wedding we like to consult with the bride and groom about their favourite songs and what they are seeking musically at their wedding. Special songs for the cutting of the cake, entry of the bridal party, bridal waltz and bouquet toss create unforgettable moments. Later on the dance floor will pump with party tunes and dancing all night. The right song at the right time creates a soundtrack and adds to the vibe of your wedding. We aim to connect generations of friends and family on the dance floor, dancing and singing together til the end.